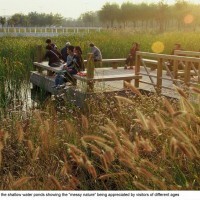 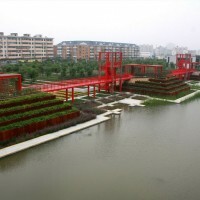 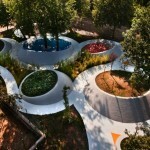 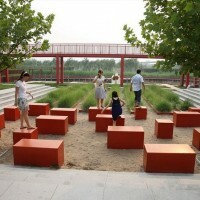 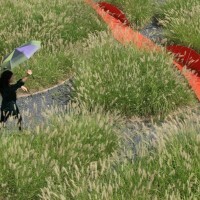 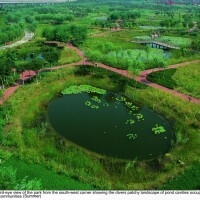 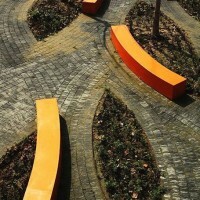 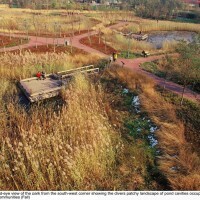 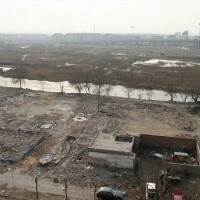 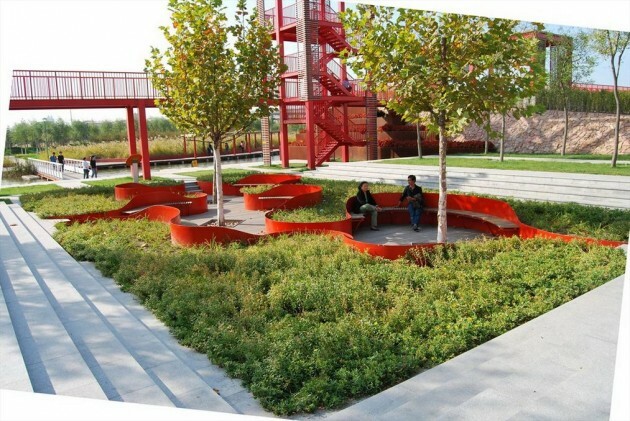 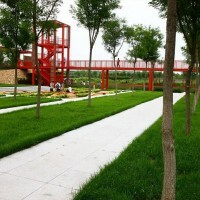 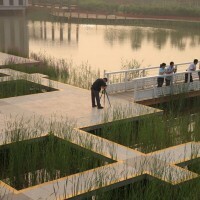 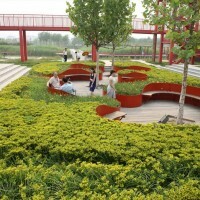 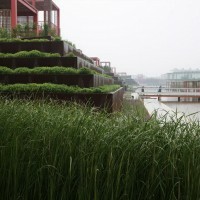 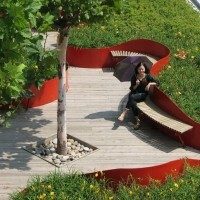 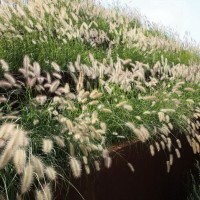 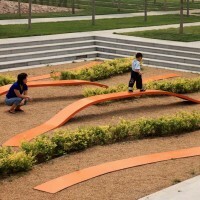 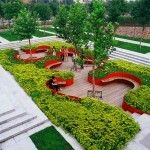 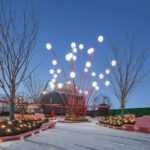 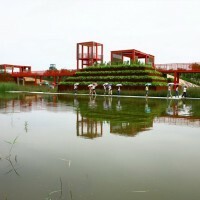 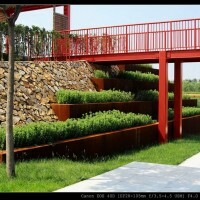 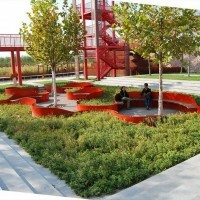 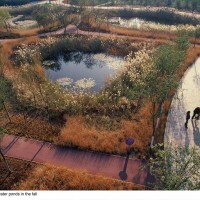 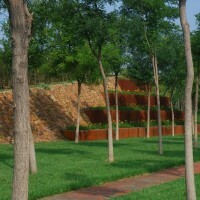 Turenscape, a landscape architecture studio, designed the Tianjin Bridged Gardens/Qiao Yuan Park in Tianjin City, China. 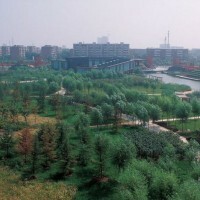 Through Regenerative Design and by changing landforms, the natural process of plant adaptation and community evolution is introduced to transform a former deserted shooting range used as a garbage dump, into a low maintenance urban park; providing diverse nature’s services for the city including containing and purifying storm water; improving the saline-alkali soil, providing opportunities for environmental education and creating a cherished aesthetic experience. 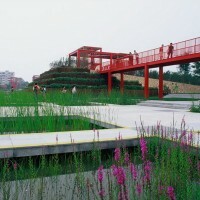 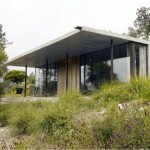 Visit the Turenscape website – here.